Home Workouts	Pushup ATTACK: HIIT Chest Workout ! Meet our January “MFS Fit Babe” Guest Editor: Shan Cooper ! Setting up Your Home Gym: Ideas, Tips & Tricks ! Tabata HIIT: Bring It Hard Workout ! 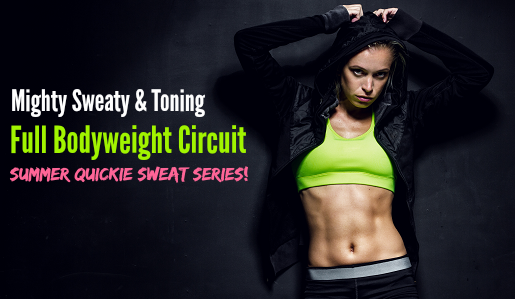 Mighty Sweaty & Toning Full Bodyweight Circuit from the Summer Quickie Sweat Series pt. 3 !